South Koreans took up the largest percentage of foreign tourists visiting Japan in January and February this year. The number of Koreans visiting Japan early this year surpassed that of Chinese tourists, who topped the list last year, the Japan National Tourism Organization announced Sunday. The surge came after the Chinese government staged economic retaliation against Korea following diplomatic tensions around the Terminal High Altitude Area Defense system, driving Koreans to Japan instead, reports say. 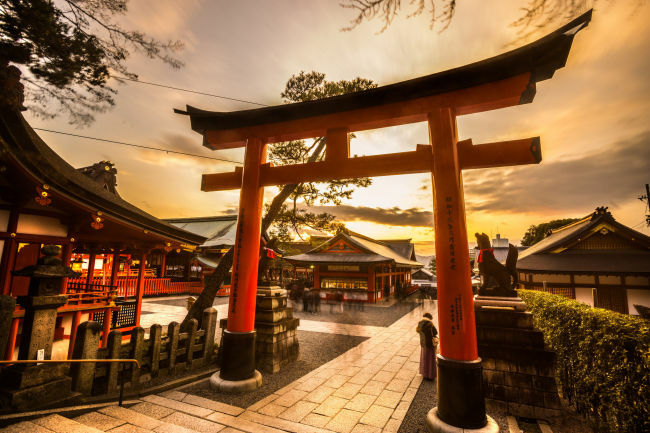 Another contributing factor is that the Japanese government has eased visa issuance and offered duty free benefits to tourists recently, reports say. Some 1,512,100 Koreans visited Japan in January and February this year, up 23.4 percent from the same period last year. The number of Chinese tourists to Japan this January and February were 1,348,700, falling short of the number of Koreans. During the entirety of last year, 7,355,800 Chinese tourists flocked to Japan, taking up the largest percentage of foreign travelers to Japan. Some 7,140,200 Korean tourists visited Japan last year, up 40.3 percent from 2016’s figures.